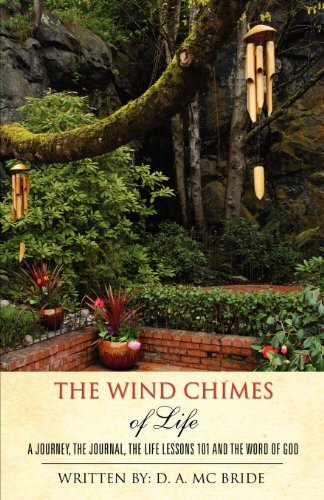 THE WIND CHIMES OF LIFE is about life! In everyone’s personal journey there are light bulb moments of consciousness. When we come to realize that GOD is all we need Him to be in any given situation, life becomes thought-provoking, enlightening and inspiring. Life is a journey, oftentimes accompanied by the ravages of wind and rain storms or intense fog, but then the blessing of sunshine appears when finally arriving at a place of peace with GOD. He has a Word for us regardless of what we go through along the journey to our destiny. Thank GOD for Jesus!